It’s not even Thanksgiving yet, and I’m already sick of the holiday season. There was a time I liked Christmas music, as well as the Christmas season. Many things have ruined that for me, primarily the over-commerciallization of what should be a happy time. The commercials began before Halloween, and I am not as fast with the mute button on the remote as I’d like to be, so I keep hearing the carols over and over. I now throughly detest ‘Carol of the Bells.’ If I am ever captured by terrorists, all they’d have to do is threaten to play that song over and over again, and I’d break. I am a woman in the middle of her life, no children, no job, poor-to-middling health, and at this point no pets. I don’t have a home of my own to decorate, family meals to host or prepare, parties to attend, or even many people to send cards to. Wow. That sounds more pathetic than I intended it to, and much more pathetic than my life actually is. Sure, things aren’t all roses and lollipops these days, but frankly, I’m not all that fond of roses or lollipops! I like tulips and lemondrops! I started this post to whine a bit about how annoyed I am about how commercial the holidays have become, and I lost my train of thought. 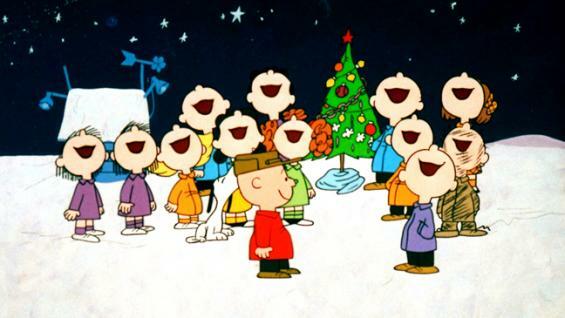 I’m going to go now, and watch ‘A Charlie Brown Christmas.’ It’s still the only holiday television show that reflects the true meaning of the season. Plus, the music is awesome. And I love the way they all dance. Previous Post Not sleeping, not so beautiful. Next Post Does anyone want to give me a house for Christmas? Playing “Carol of the Bells” ONCE is not dissimilar to tortuously playing it over and over. Anyway, I have felt similar feelings many times in my life, not having had a family of my own, and there is certainly no shortage of grinchiness regarding early celebrations, cultural expectations, and commercialism. For me the only cure to this, looking back over the years, has regarded what I surrounded myself with…in other words, when I turn off the damned TV and stop checking my Facebook or phone every five minutes trying to make notifications appear, I’m in a better mood. Watch DVDs, listen to non-Christmas music, get outside away from stores if possible. And hey, why no pets? Get one! First, Karen, I am glad you understand, and your holidays are going better! Second, let me address the “no pet” thing. My darling kitty vanished sometime in June, and has yet to return; I miss her dreadfully. There are paets here in the house (Daisy, my sister’s dog, and Honey, Hattie’s cat), but for now, none of mine. Maybe in the new year. I try to avoid the telly as much as I can, but in a household filled with others, it’s not always easy. This is why I tend to binge on Stephen King and Ann Rice books around this time of year! Max claims that Miss G had a second family that she visited on her days away from us, and that they must have moved, taking her with them. It’s a better option than some of the others! Isn’t living with a gamer fun? I learned to love audiobooks and earplugs.